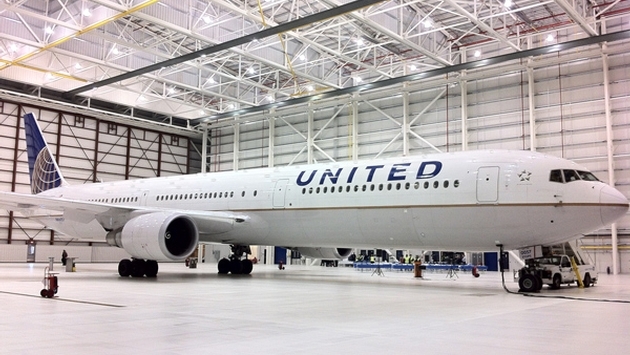 Just weeks after opening its new Global Services reception lobby at Newark Liberty International Airport, United Airlines unveiled its latest investment in the New York area’s largest hub airport — a new widebody aircraft maintenance hangar. United invested $35 million to construct the facility, which will help support the airline’s widebody aircraft, including the Boeing 787 Dreamliner and the Airbus A350-XWB, which United will begin flying in 2018. 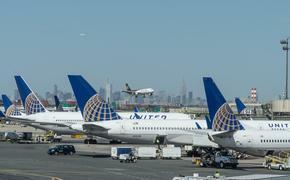 The hangar also expands United’s maintenance capability for widebodies by 33 percent at Newark Liberty. United has more than 13,000 employees in the New York metropolitan area, 700 of whom are dedicated to technical operations and maintenance at Newark Liberty. Construction of the 90,000-square-foot hangar also had a significant economic impact on the region, as more than 600 local workers helped build the facility. In November 2013, United also completed construction of a 125,000-square-foot maintenance hangar at Washington Dulles International Airport. Together with this new hangar at Newark, United has significantly increased its maintenance capabilities on the East Coast.